J.H. Abramson, Emeritus Professor of Social Medicine, The Hebrew University-Hadassah School of Public Health and Community Medicine, Jerusalem. 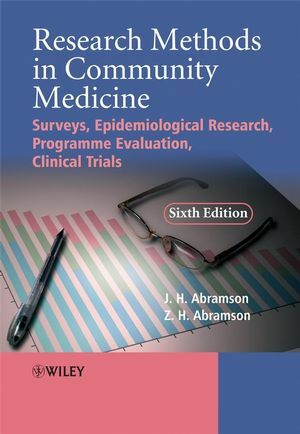 Author of five previous editions of the formerly titled Survey Methods in Community Medicine and Making Sense of Data with OUP. Z.H. Abramson, Beit Hakerem Community Clinic (Clalit Health Services) and Department of Family Medicine, The Hebrew University-Hadassah School of Medicine, Jerusalem.